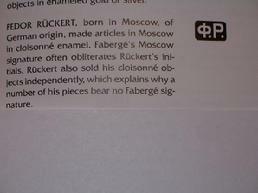 by Feodor Ruckert ,who used to work for Faberge. 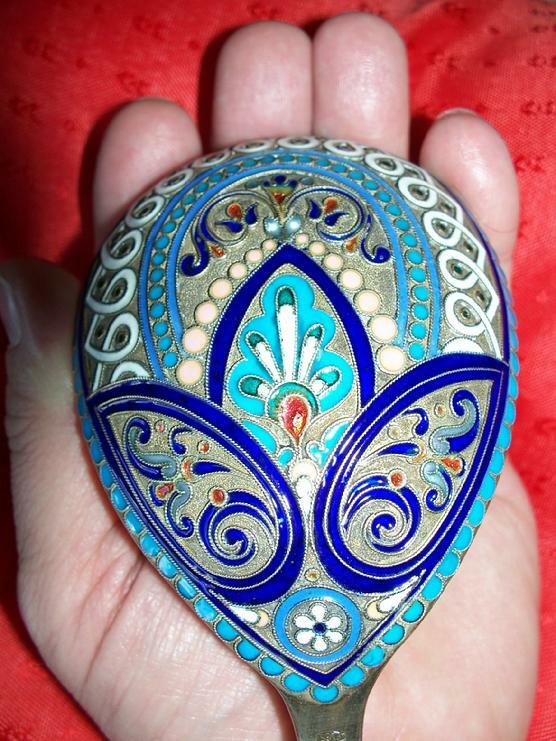 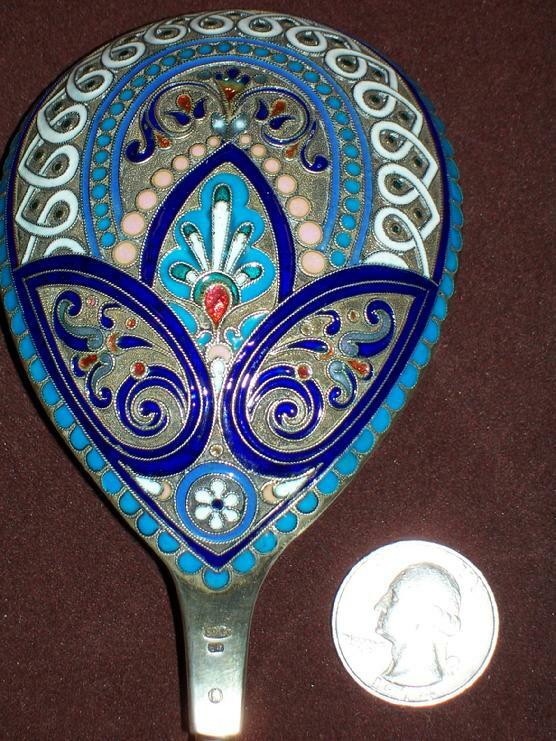 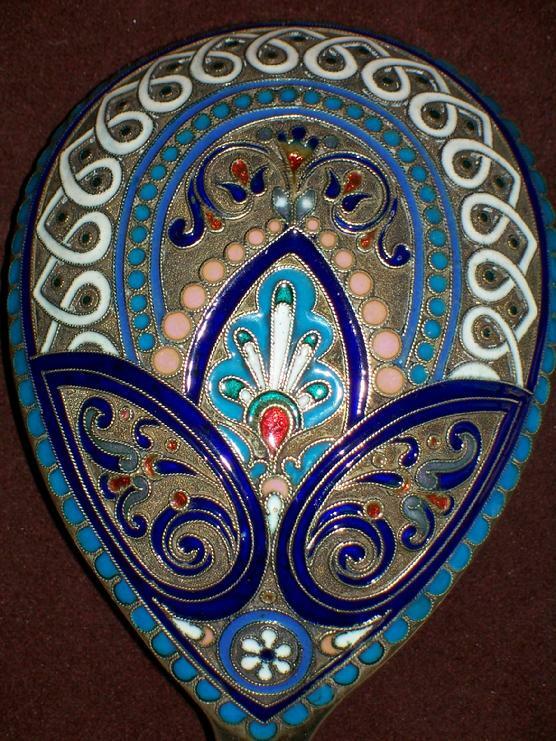 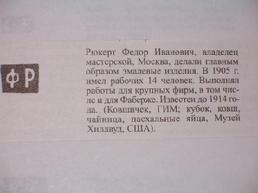 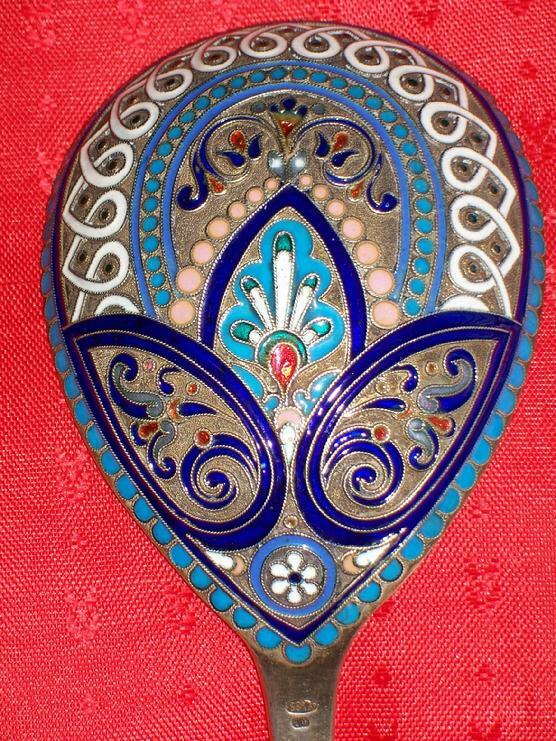 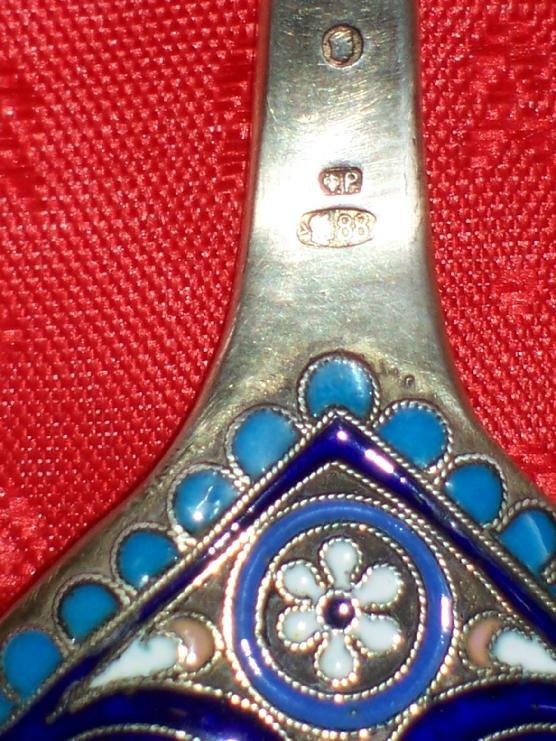 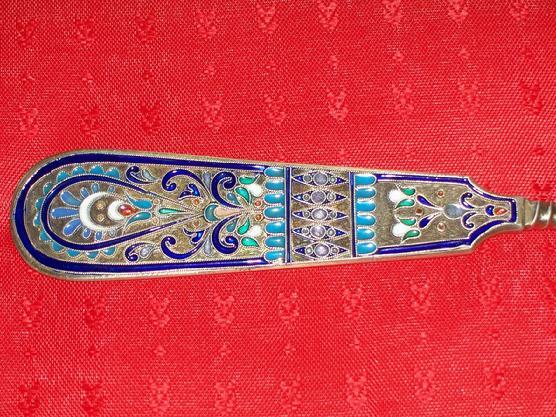 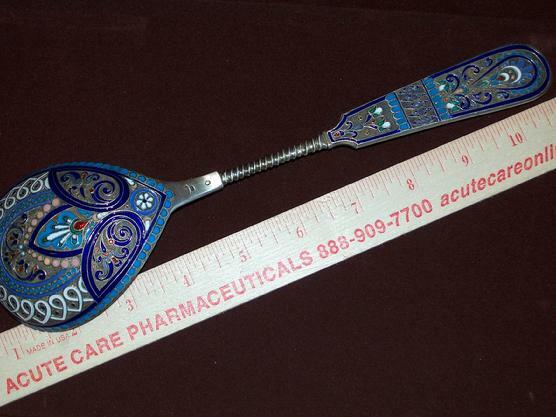 and very often made enamel items for Faberg�. 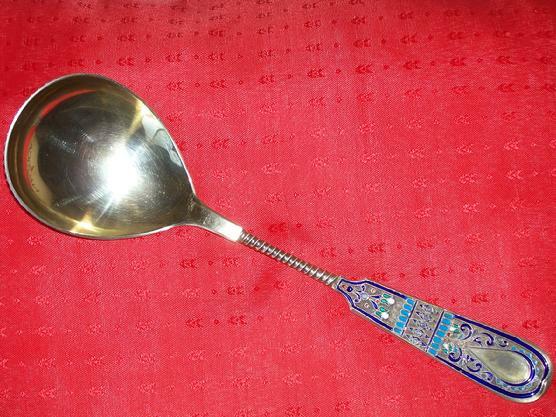 within geometric borders against gilded grounds. 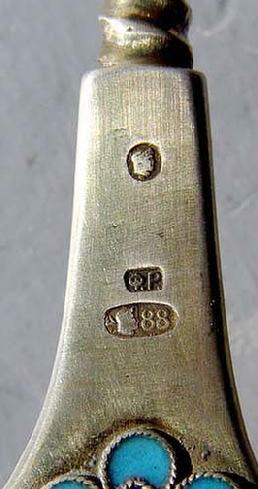 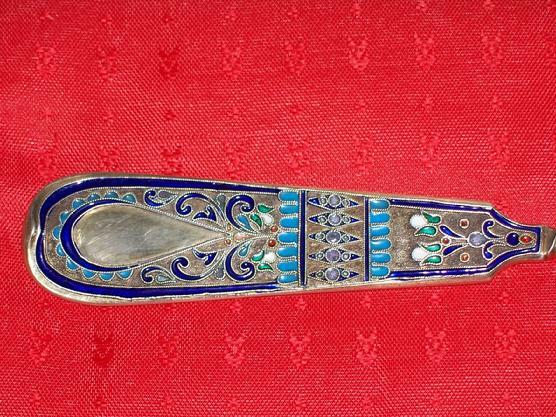 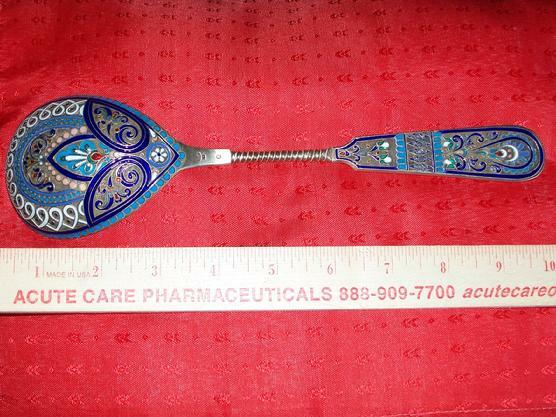 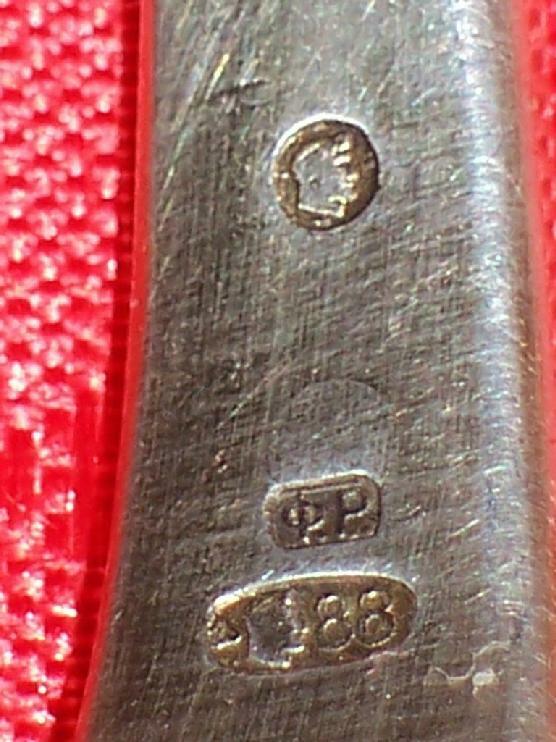 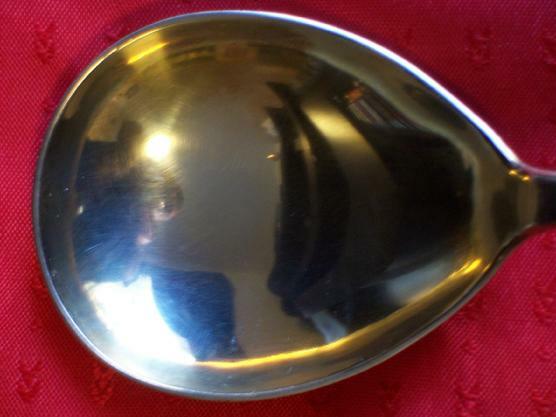 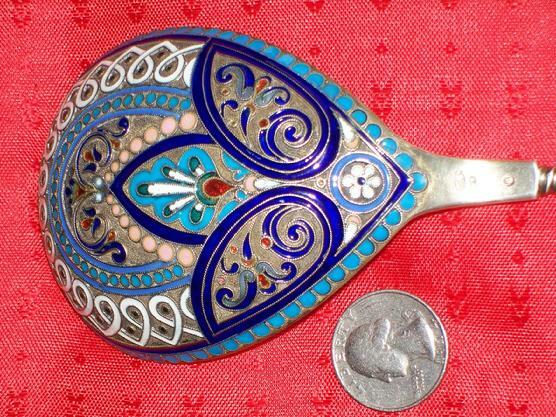 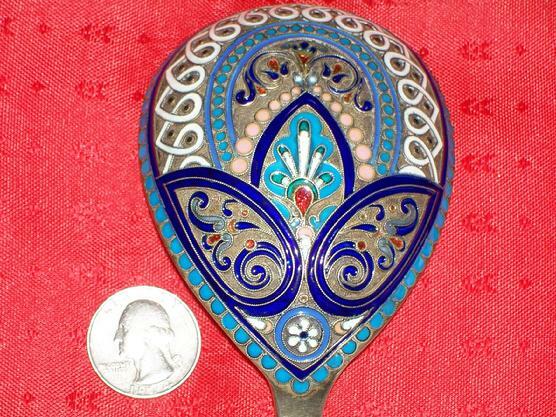 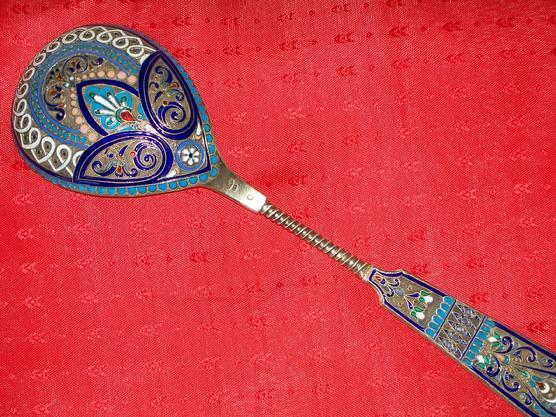 Ruckert, Moscow 1908-1917.Spoon bowl: 4 1/4" x 2 5/8"
Length spoon: 10.0" or 25 cm. 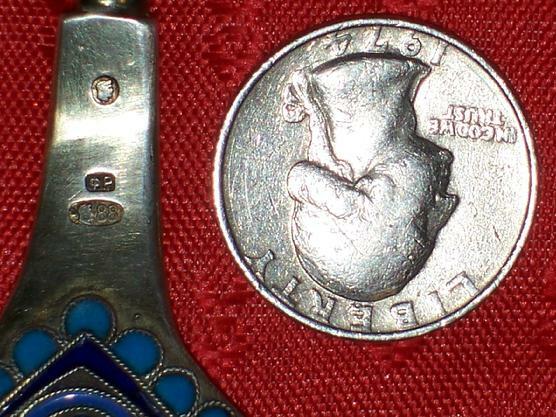 Weight: 6.0 oz or 170 gr.